The incredibly moving, Tony Award-winning “Best Play” War Horse premieres May 6th at Bass Concert Hall. War Horse is a “remarkable tale of courage, loyalty and friendship” (AustinBroadway), based on the beloved novel War Horse by Michael Mopurgo. The show follows the relationship of young boy Albert and his horse, Joey, during World War I. Beginning in England 1914, Joey is sold to French cavalry, and forced to leave his owner and friend behind. Albert, determined to find Joey once again, goes against many odds and embarks on a journey to find his beloved friend. War Horse features remarkable breathing, running, life-sized puppets made by South Africa's Handspring Puppet Company. This show takes audience members on a tour through World War I while captivating imaginations and melting hearts. 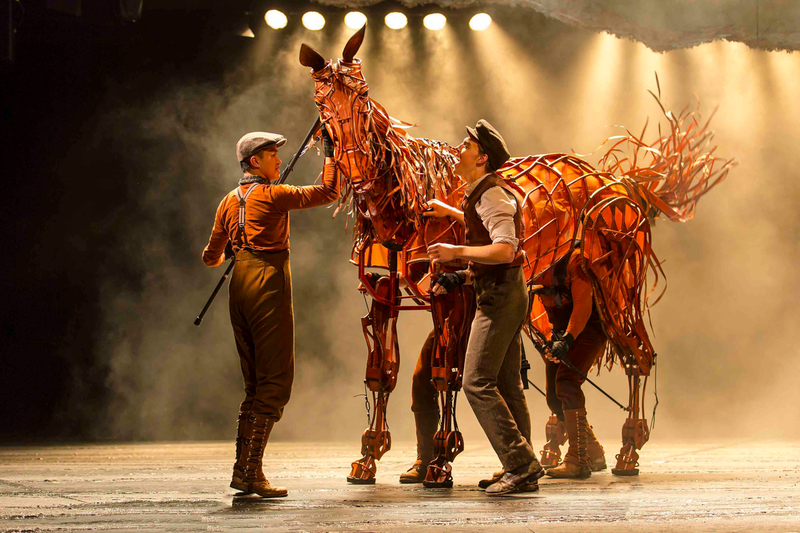 The National Tour of War Horse runs May 6-11th at Bass Concert Hall and is not to be missed. Lexus is a key sponsor, too.